The tropical metropolis of Singapore is a major powerhouse in South East Asia. Despite being a small and fairly young country, its name has become synonymous with sleek and modern architecture, an airport beautiful enough to be its own tourist destination, a unique landscape, impressively clean streets, a low crime-rate, and not to mention, the highest quality of living out of all Asian countries. We know what you’re thinking. Singapore might be beautiful and well-organised, but surely, it can’t actually be fun? Wrong there, my friend. Singapore can put a big check mark next to that one as well. Don’t believe us? Let us show you! 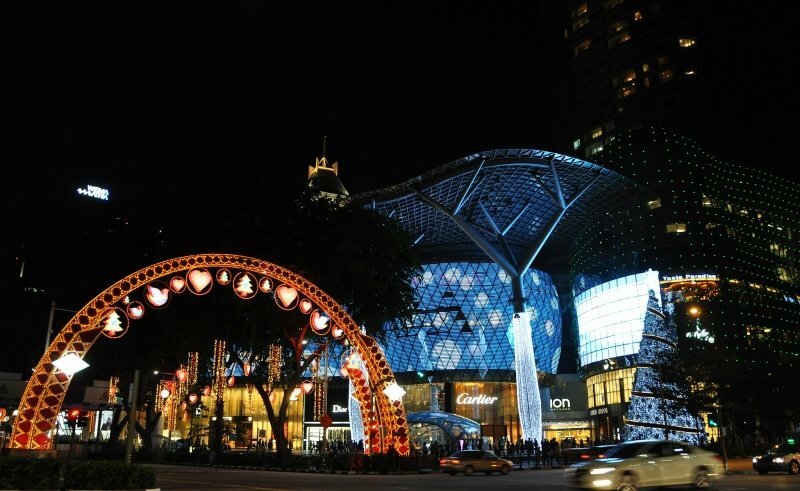 Let’s get one thing straight – shopping on Orchard Road is not like shopping anywhere else. Much like Oxford Street in London, all of Singapore’s major malls are centered around this downtown location, meaning all your shopping needs can be taken care of right there, on that street alone. On Orchard Road you can find everything from high-end luxury goods to department stores, to one of the largest bookstores in South-East Asia, Kinokuniya. Like a true shopping pilgrim, you could even start at one end and make your way down, arriving at the finish line with, likely, some sore feet and a smaller wallet, but… what are vacations for if not to splurge and treat yourself? Stepping onto Arab street is like entering another country entirely. 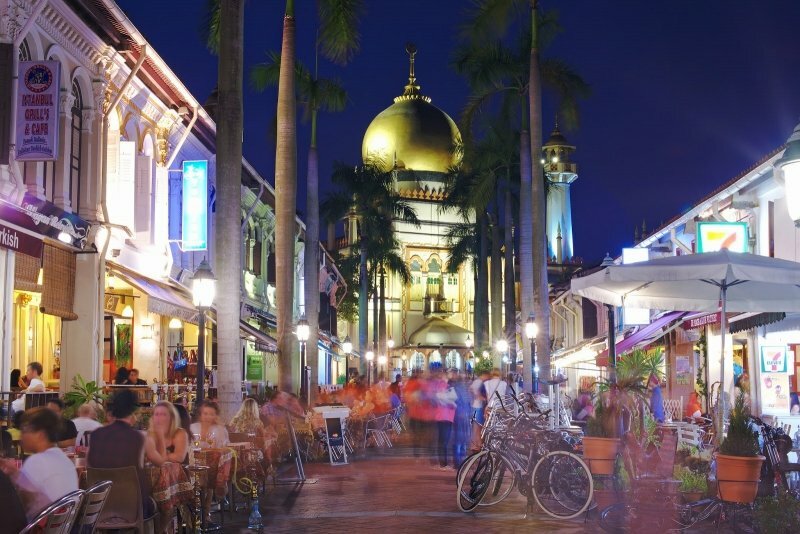 Here you’ll find Singapore’s Middle-Eastern hub filled to the brim with shops selling Persian rugs, Turkish lamps, textiles, perfumes, and all the Middle-Eastern cuisine you can ask for! The Masjid Sultan Mosque overlooks this bustling street and this prized national monument is a wondrous sight to behold. 3. Try NOT to buy everything on Haji Lane…we dare you! 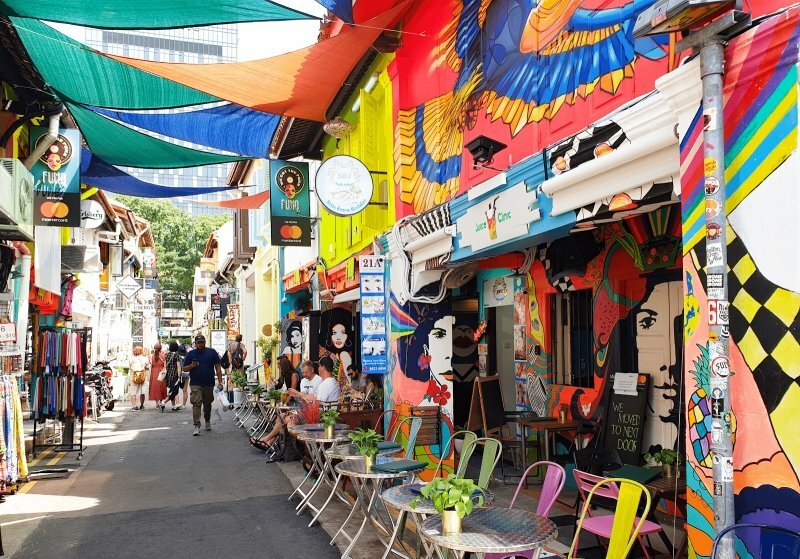 A couple of streets away from Arab Street, Haji Lane is a colourful hot-spot for all things handmade and hipster. Over the last few years, it has solidified its reputation as one of Singapore’s best shopping spots. Cafes, eateries, boutiques, and numerous other adorable little shops line this kaleidoscopic street – and trust us, the street-art will give you enough Instagram fodder to last weeks. All shopaholics that love quirky goods, you’ve been warned: Haji Lane will awaken your inner shopping gremlin! Against Singapore’s landscape, the world-famous Marina Bay Sands looks a lot like an alien spaceship. And for all we know, it could be – the hotel is certainly its own self-sufficient little world. 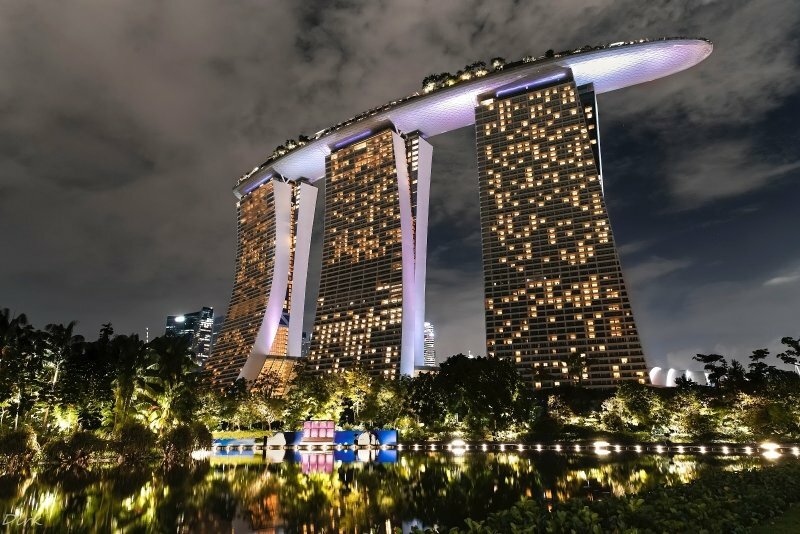 Behind the walls of the Marina Bay Sands, you’ll find 45 restaurants (with many boasting of “celebrity chefs”), countless shops, a museum, the world’s largest atrium casino, two theatres, an infinity swimming pool and… more than we could ever fit into a tight paragraph. Go experience it for yourself! And make sure to check out the incredible ArtScience Museum too! 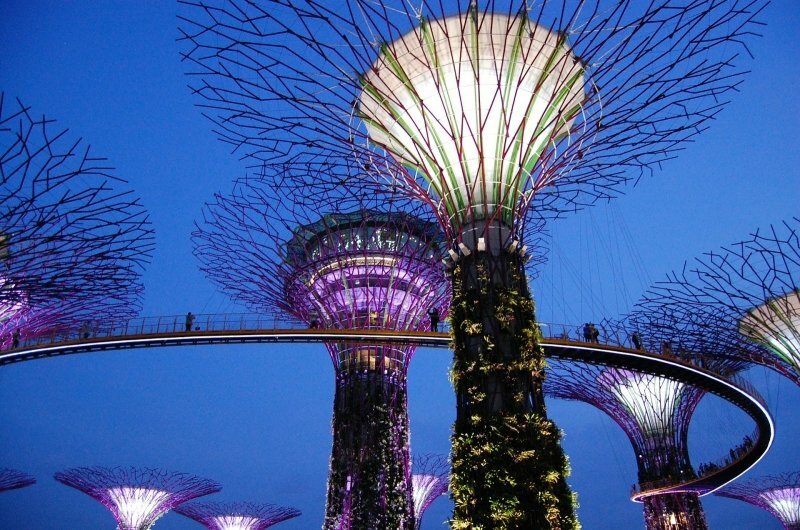 You’ve likely already heard of Gardens by the Bay, and for good reason – nothing else like it exists in the world today. 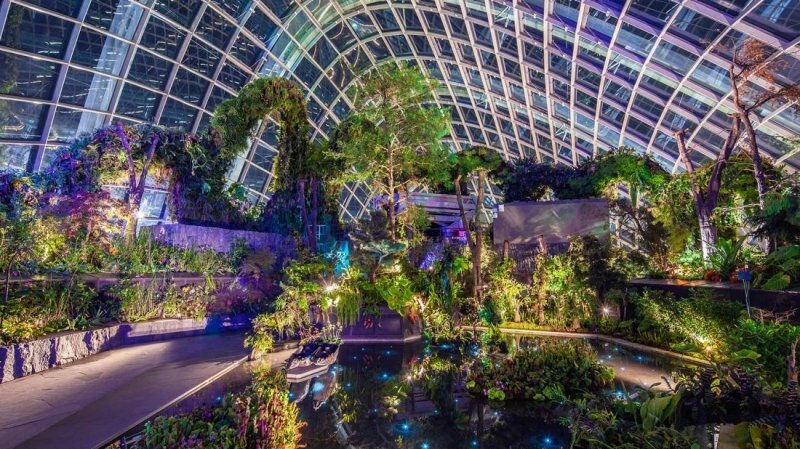 This highly photographed nature park is home to many alien sights, like the Supertree Grove, and the two colossal, misshapen conservatories of the Cloud Forest and Flower Dome. Constructed to represent a ‘City in a Garden,’ even visitors who have seen it before continue to return in flocks. To experience the flora of the dry, arid world, make a visit to the Flower Dome where you’ll see strange cacti, succulents, and flowers from across the globe. And for the lush greenery of the tropical world, stop by the Cloud Forest where you’ll stand in awe at the 35-meter high indoor waterfall, among many spectacular sights. Did you know that the Singapore Zoo was voted one of the best zoos in the world? Located in the Mandai rainforest, the zoo is well known for its ‘open’ exhibits, where glass, moats, and hidden barriers give visitors the illusion of total immersion. The Singapore Zoo is home to roughly 315 species of animals, and it has been lauded for its spacious, beautifully landscaped exhibits, a drastic improvement from the cages seen around the rest of the world. 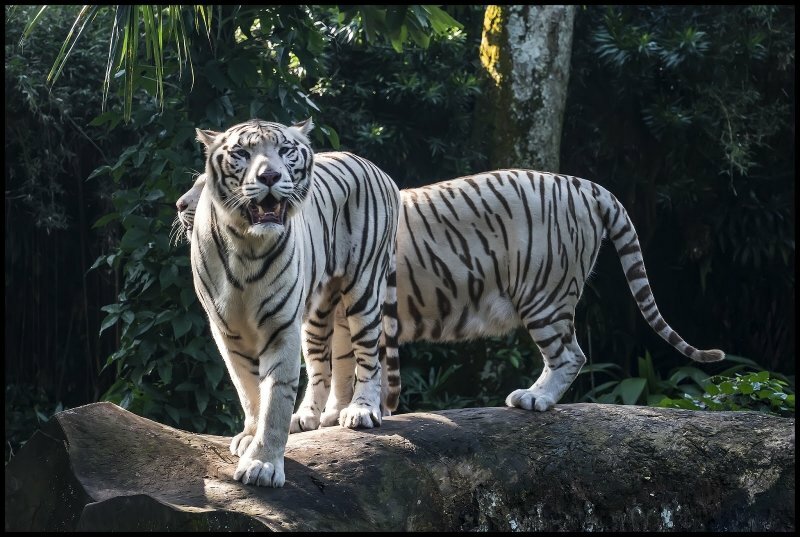 For an equally riveting experience, we also advise visiting the Night Safari, the world’s first nocturnal zoo, just minutes away from the Singapore Zoo. Remember when Crazy Rich Asians featured this colourful smorgasbord of hawker stalls? The Newton Food Centre is home to nearly 100 hawker stalls all offering different delicacies from the region. Oh, and did we mention that here resides the first hawker stall to ever earn a Michelin star? If you enjoy a good cocktail, why not grab an iconic Singapore Sling at the hotel where it was first created? All the way back in the early 20th century, a young Hainanese bartender began concocting the Singapore Sling with one special purpose: to allow women to drink alcohol without anyone (ahem, men) suspecting them of doing so/ This was because it was highly frowned upon for women to be drinking alcohol in public during this time period. This is also the fascinating reason behind the drink’s vibrant pink colour which is meant to disguise it as juice! 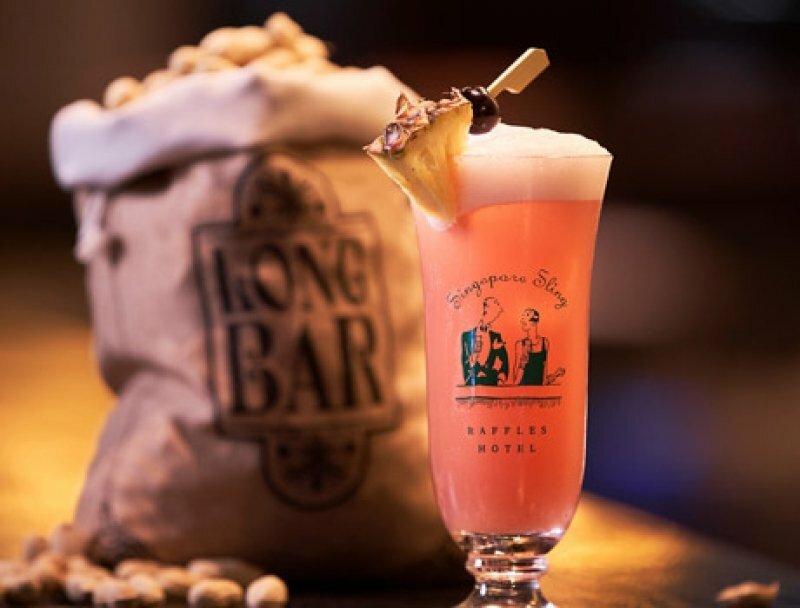 For the full Singapore Sling experience, make a trip to the Long Bar at Raffles Hotel. Oh, and don’t be alarmed – they have a longstanding tradition of serving guests peanuts and allowing them to throw the shells on the floor. Hedwig-shaped macarons? Chocolate frogs? Fruity mousses with white-chocolate golden snitches on top? Tea you get to brew like a potion? 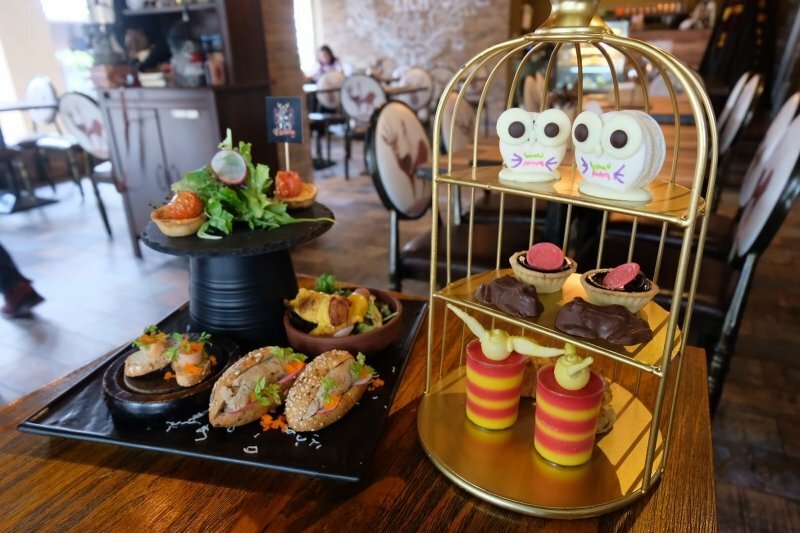 This restaurant is an absolute necessity for all Potterheads, but even non-Harry Potter fans will enjoy this unique experience. Unlike most themed restaurants, the food at Platform 1094 is superb. Each meal goes beyond just a Harry Potter aesthetic and achieves a level of magic we’re pretty sure even Hermione Granger can’t conjure. 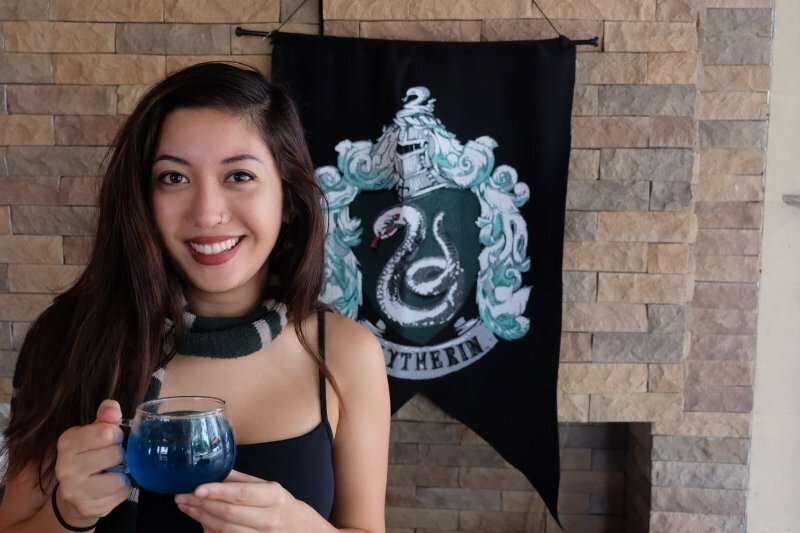 To make the whole experience even better, the restaurant also has Hogwarts robes and scarves available to wear during your meal. So what are you waiting for? Make a reservation now! The Kumoya Cafe is notable for its ever changing theme and decor. While its location always remains the same, every year or so its humble interior undergoes a drastic makeover and the menu is redesigned. 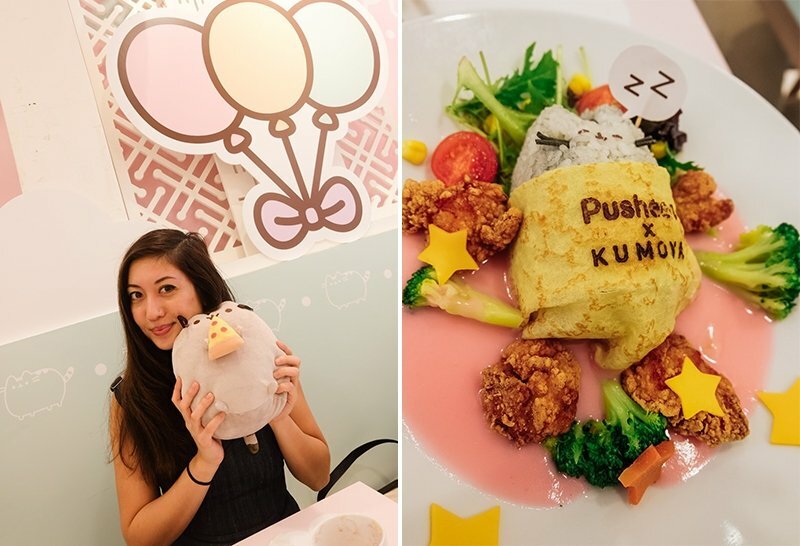 Previously, the cafe has featured Care Bears and My Little Pony themes, but recently, it has taken its cuteness to a whole new height by going full-on Pusheen themed. Every item on the menu has been designed to depict Japan’s favourite illustrated cat. The result is almost too adorable to handle. If you’re heading to Sentosa, why not take the Singapore Cable Car? 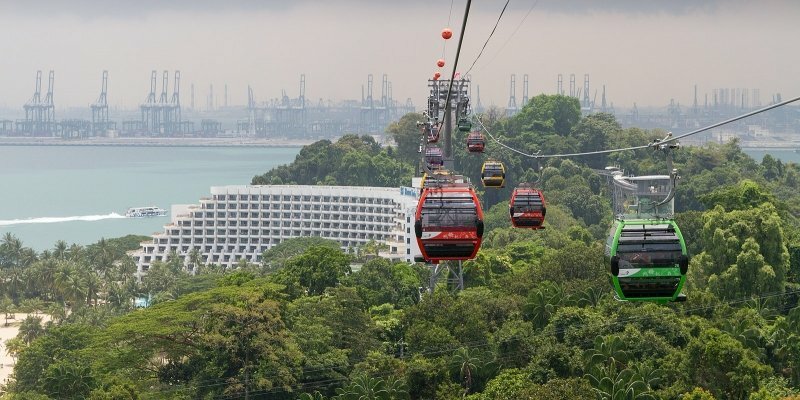 These gondola lifts provide an aerial link between Mount Faber, the main Singapore island, and Sentosa island – and unlike most other transportation methods, this one might give you a little adrenaline rush. Traveling from Mount Faber all the way to Sentosa takes fifteen minutes and will grant you breath-taking views along the way. We highly recommend doing it during the daytime for the best experience! Sentosa Island’s offerings are so vast that it honestly deserves its own list. I mean, where do we start? The resort island boasts of gorgeous beaches and many of Singapore’s biggest attractions such as South East Asia’s only Universal Studios, the Adventure Cove Waterpark, the S.E.A Aquarium, and much, much more. 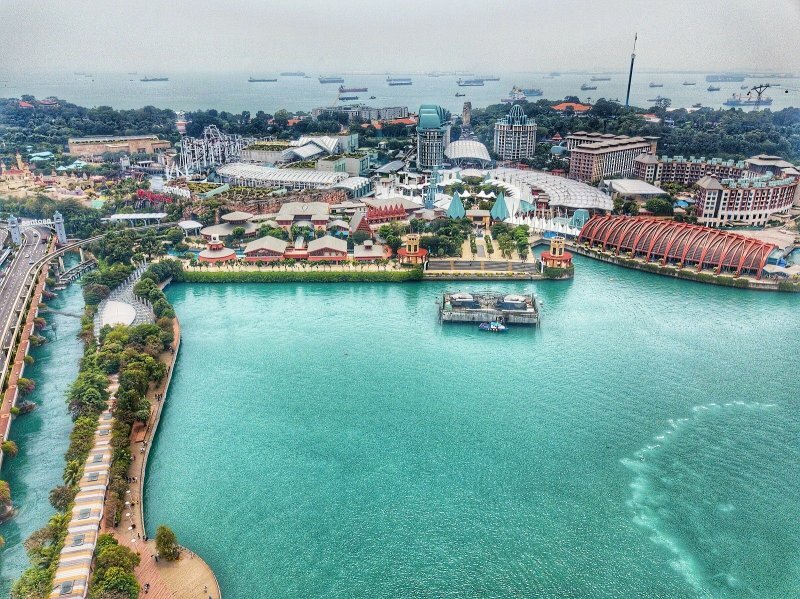 Without a stop at Sentosa Island, your Singapore trip is not complete. Looking for a good dinner spot by the Singapore River? 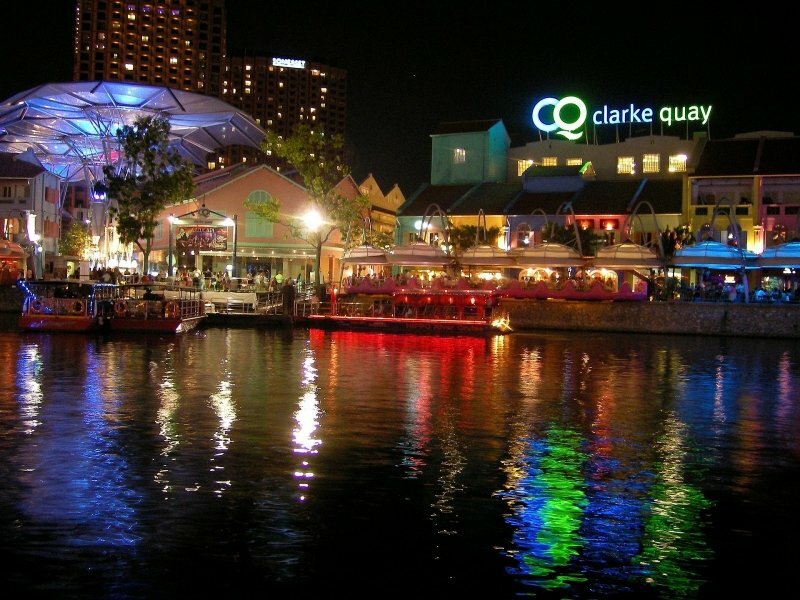 Head on over to Clarke Quay where restaurant options with a remarkable river views are abound. Just around the corner, you’ll also find the Boat Quay, the ideal destination for those looking to let loose and experience some of Singapore’s bustling nightlife. 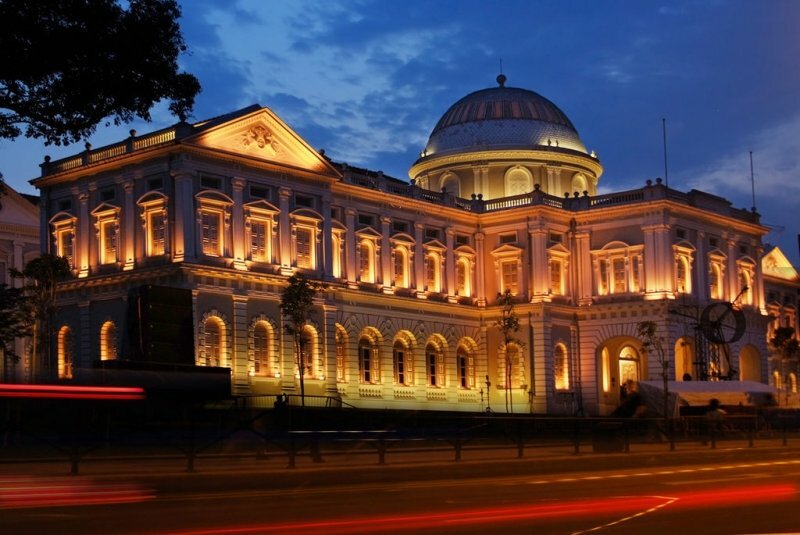 If you’re interested in learning about Singapore’s vibrant, rich history and culture, don’t miss the National Museum, where all those looking to nerd out for a couple of hours will be completely absorbed. Unlike most of the stuffy and dry museums of the world, Singapore’s National Museum offers a highly interactive and thought-provoking way of learning. Make sure to check their calendar before going, as the Museum also holds a wide range of events and festivals regularly. 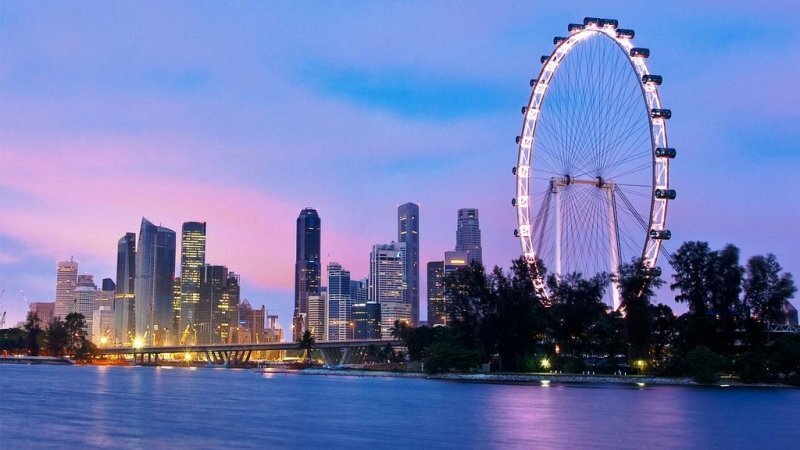 The Singapore Flyer is Asia’s largest observation wheel and it offers an unrivaled panoramic view of Singapore – but it’s even more than a feast for the eyes. The Flyer offers customers a variety of extra experiences, including Sky Dining, where you and a special partner can indulge in a four-course menu as you enjoy the magnificent skyline. Some capsules even offer interactive entertainment features so you can learn about Singapore, even as you fly. 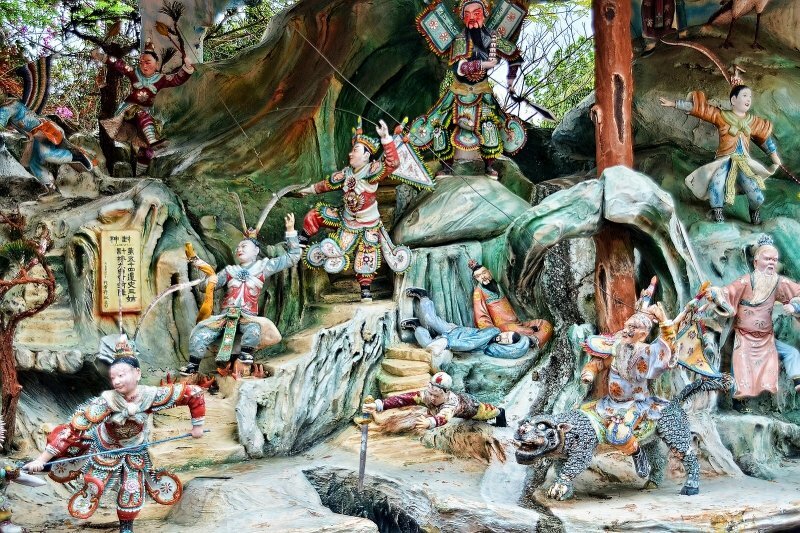 The Haw Par Villa is the last cultural park of its kind in the world, displaying over 1,000 statues and 150 giant dioramas depicting scenes from Chinese mythology, folklore, and history. Here you’ll meet the twelve animals of the Chinese Zodiac, a life-sized tribe of Mermaids, surrealist human-animal hybrids, Chinese deities, characters from famous legends, and more. One of its most popular attractions is the Ten Courts of Hell, featuring terrifying depictions of Hell, as described in Chinese Mythology. While some sections are not suitable for children (we’ll let you guess which ones!) we encourage everyone else to immerse themselves in this magical, mythical park. And did we mention that admission is totally free? 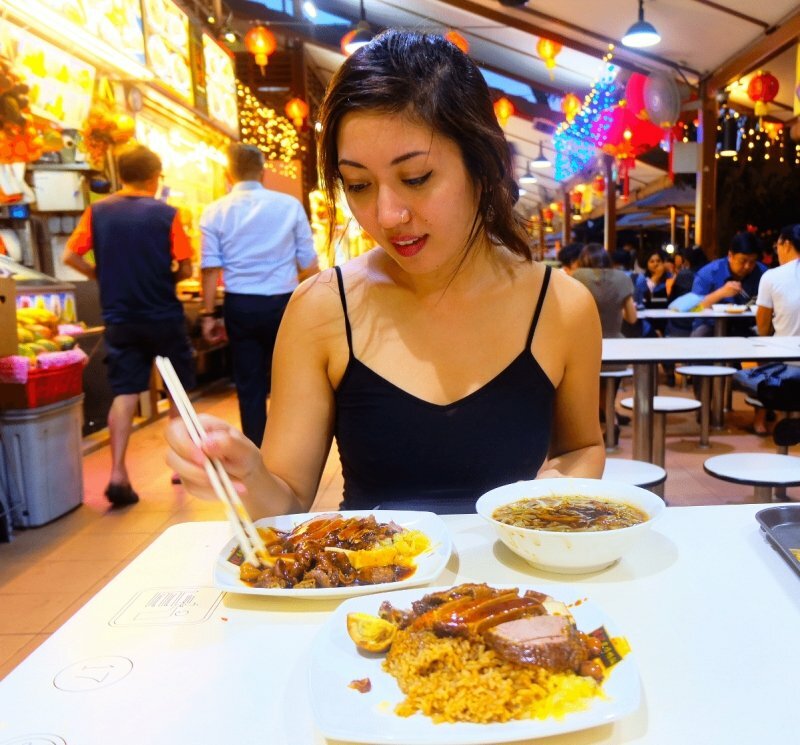 For a food and cultural extravaganza, Chinatown must be on your next Singapore itinerary. Restored shops, beautiful temples, and mouth-watering hawker food options abound in this gem of a place. Safe to say that no visitor who makes it to Chinatown is ever disappointed. Those who visit are spellbound by its fusion of the modern and the traditional, and we know you’ll probably leave with some gorgeous photos. 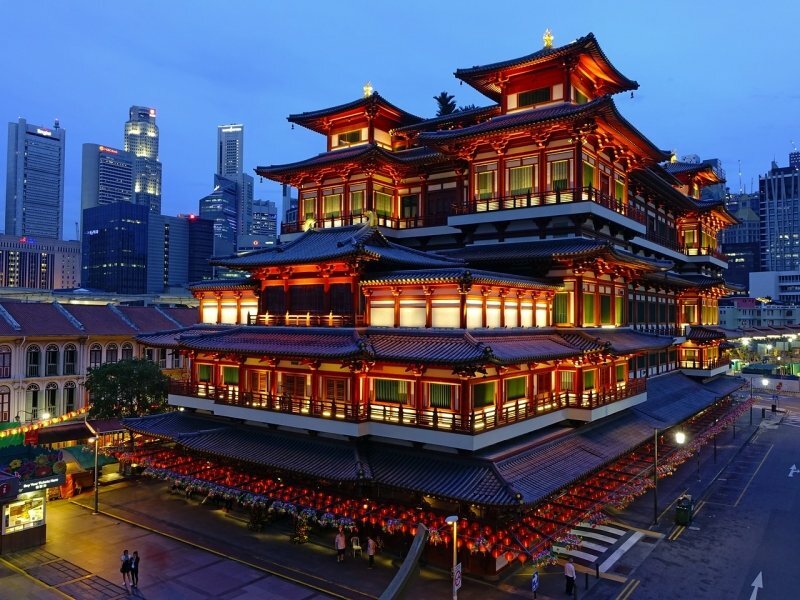 Make sure to visit the Buddha Tooth Relic Temple, which claims to house a tooth relic from none other than Buddha himself! No, we’re not kidding! 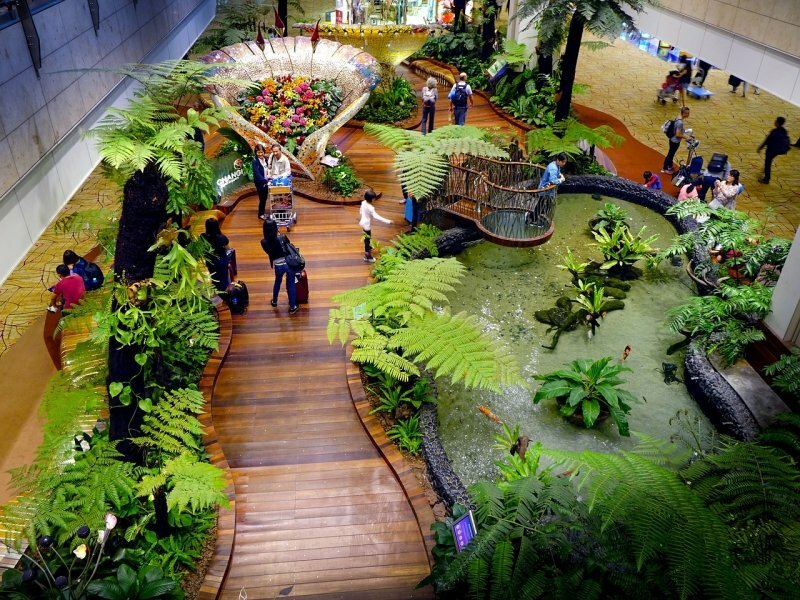 Changi Airport has proudly clung to its title of Best Airport in the World for seven years running – and it has no intention to lose it any time soon. 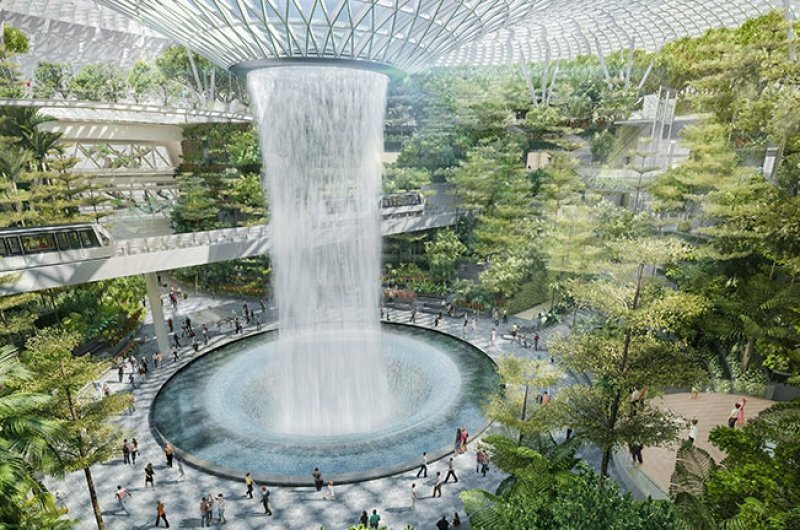 This April 2019, Changi will be opening the long-awaited Canopy Park, an in-airport wonderland with gardens, canopy mazes, and the world’s tallest indoor waterfall, the Rain Vortex. We can’t believe it either! Need we say more? Singapore is, inarguably, one of Asia’s crowning jewels and all who visit are captivated by its gleaming, modern beauty. So what are you waiting for? It’s time to pay our lovely neighbours another visit soon!